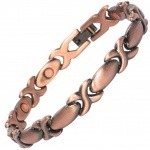 Copper is one of the oldest metals to be used by mankind. 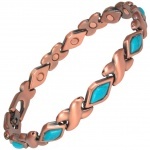 Ancient civilizations mined it, shaped it and allowed it with tin to make bronze. 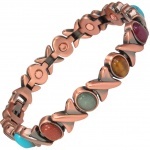 It was the basis for massive human progress, being used in both war-like and peaceful activities. 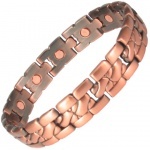 Copper jewellery was much prized by ancient civilizations tho believed that the held great healing powers. 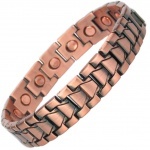 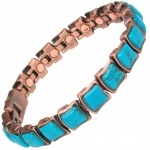 Our copper rich bracelets, combine the properties of copper with the power of magnets. 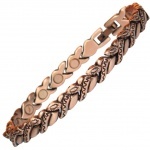 The therapeutic benefits of copper and copper rich alloys have been recognised since copper bracelets were worn by the Egyptians, Romans and Greeks. 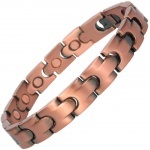 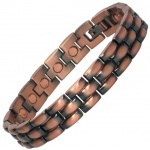 With the re-awakening of New Age and alternative healing therapies, copper bio magnetic therapy bracelets combined magnetic therapy with the benefits of copper.